Three federal indictments have been unsealed in Georgia revealing charges against six former members of three Android piracy groups. 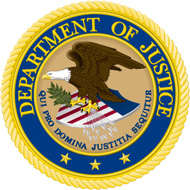 The United States Department of Justice says that the men are charged with intellectual property offenses related to the illegal distribution of millions of copyrighted apps. Assisted by police in France and the Netherlands, in the summer of 2012 the FBI took down three unauthorized Android app stores. 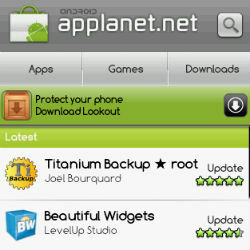 Appbucket, Applanet and SnappzMarket all had their domains seized, the first action of its type in the Android scene. For two years the United States Department of Justice has released information on the case and last evening came news of more charges and more arrests. Assistant Attorney General Leslie R. Caldwell of the Justice Department’s Criminal Division announced the unsealing of three federal indictments in the Northern District of Georgia charging six members of Appbucket, Applanet and SnappzMarket for their roles in the unauthorized distribution of Android apps. Joshua Ryan Taylor, 24, of Kentwood, Michigan, and Scott Walton, 28, of Cleveland, Ohio, two alleged members of SnappzMarket, were both arrested yesterday. They are due to appear before magistrates in Michigan and Ohio respectively. An indictment returned on June 17 charges Gary Edwin Sharp II, 26, of Uxbridge, Massachusetts, along with Taylor and Walton, with one count of conspiracy to commit criminal copyright infringement. Sharp is also charged with two counts of criminal copyright infringement. 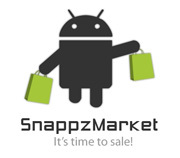 It’s alleged that the three men were members of SnappzMarket between May 2011 through August 2012 along with Kody Jon Peterson, 22, of Clermont, Florida. In April, Peterson pleaded guilty to one count of conspiracy to commit criminal copyright infringement. As part of his guilty plea he agreed to work undercover for the government. Another indictment returned June 17 in Georgia charges James Blocker, 36, of Rowlett, Texas, with one count of conspiracy to commit criminal copyright infringement. 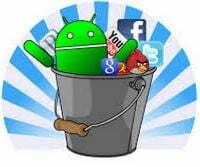 A former member of Appbucket, Blocker is alleged to have conspired with Thomas Allen Dye, 21, of Jacksonville, Florida; Nicholas Anthony Narbone, 26, of Orlando, Florida, and Thomas Pace, 38, of Oregon City, Oregon to distribute Android apps with a value of $700,000. During March and April 2014, Dye, Narbone and Pace all pleaded guilty to conspiracy to commit criminal copyright infringement. A further indictment June 17 in Georgia charges Aaron Blake Buckley, 20, of Moss Point, Mississippi; David Lee, 29, of Chino Hills, California; and Gary Edwin Sharp II (also of Appbucket) with one count of conspiracy to commit criminal copyright infringement. Lee is additionally charged with one count of aiding and abetting criminal copyright infringement and Buckley with one count of criminal copyright infringement. All three identified themselves as former members of Applanet. The USDOJ claims that along with other members they are responsible for the illegal distribution of four million Android apps with a value of $17m. Buckley previously launched a fund-raiser in an effort to fight off the United States government. “As a result of their criminal efforts to make money by ripping off the hard work and creativity of high-tech innovators, the defendants are charged with illegally distributing copyrighted apps,” said Assistant Attorney General Caldwell. A statement from the FBI’s Atlanta Field Office indicates that the FBI will pursue more piracy groups in future. “The FBI will continue to provide significant investigative resources toward such groups engaged in such wholesale pirating or copyright violations as seen here,” Special Agent in Charge J. Britt Johnson said.